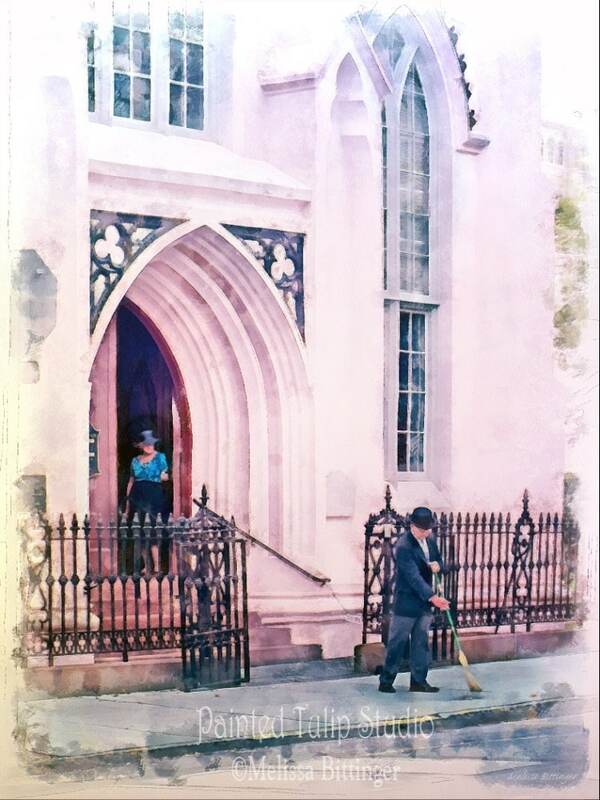 Title: THE CHURCH SWEEPER............Photographic Art including watercolor effects. THE FRENCH HUGUENOT (PROTESTANT) CHURCH on Sunday morning April 12, 2015. 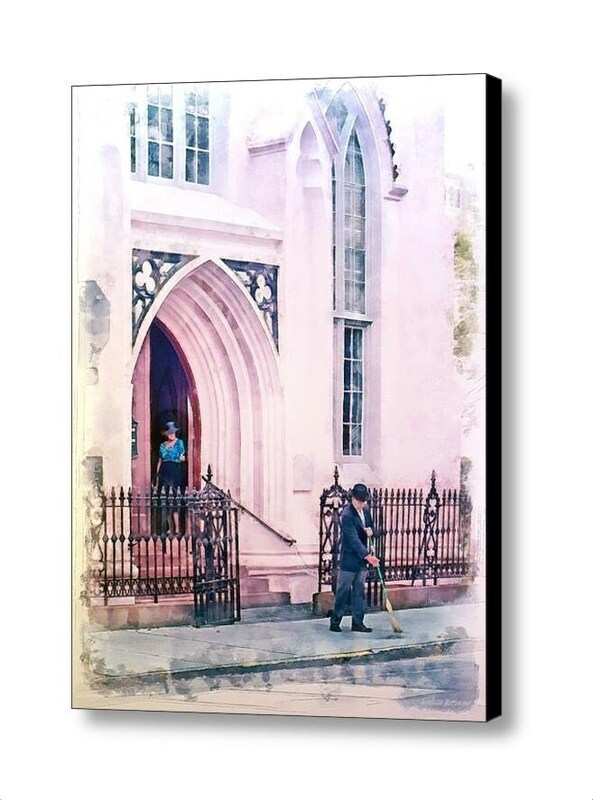 A quick little sweeping of the sidewalk before Sunday morning worship at the French Huguenot Church in Charleston South Carolina. This made such a wonderful scene. 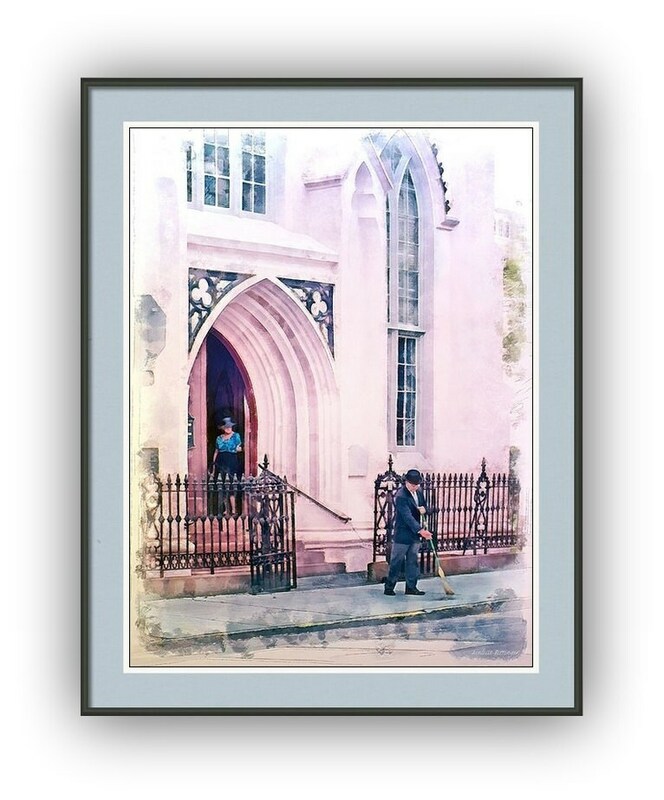 It shows some of the architectural beauty of this unique Gothic Revival church and the charm of Charleston people and culture. Somewhat briefly(to whet your appetite for history), the royal frigate 'Richmond' set sail in Dec of 1679 bringing with it the first 45 refugee Huguenots to Charleston in April of 1680. 'Charles Town' at that time had around 1000 to 1200 colonists. Over the next 20 years the number of Huguenots to settle in the Low Country of South Carolina increased to around 450. The first church was built in 1687 on this very location. 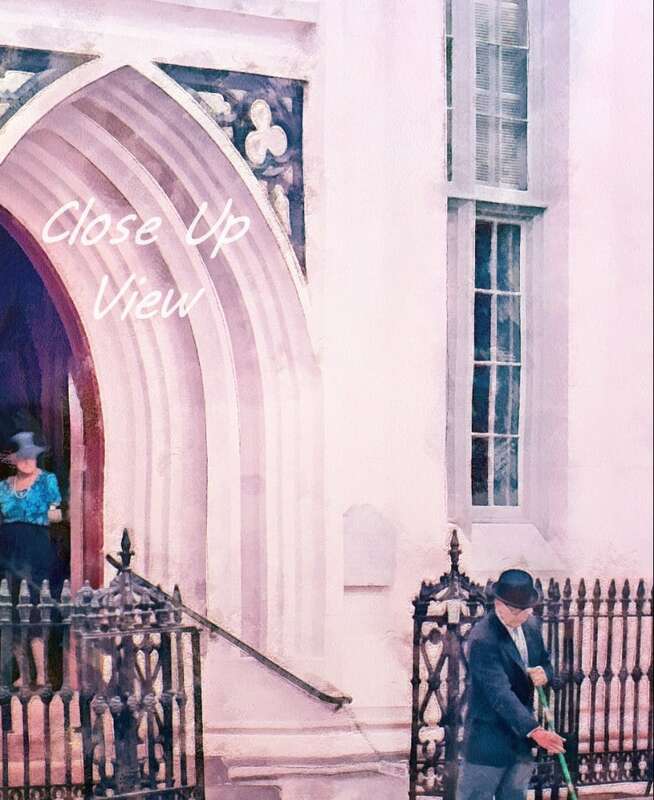 A little over a hundred years later, that church was destroyed in an attempt to make a fire break to save the surrounding neighborhood. It took four years to build another one, which was later dismantled in 1844 to make way for the current structure designed by architect Edward Brickell White. 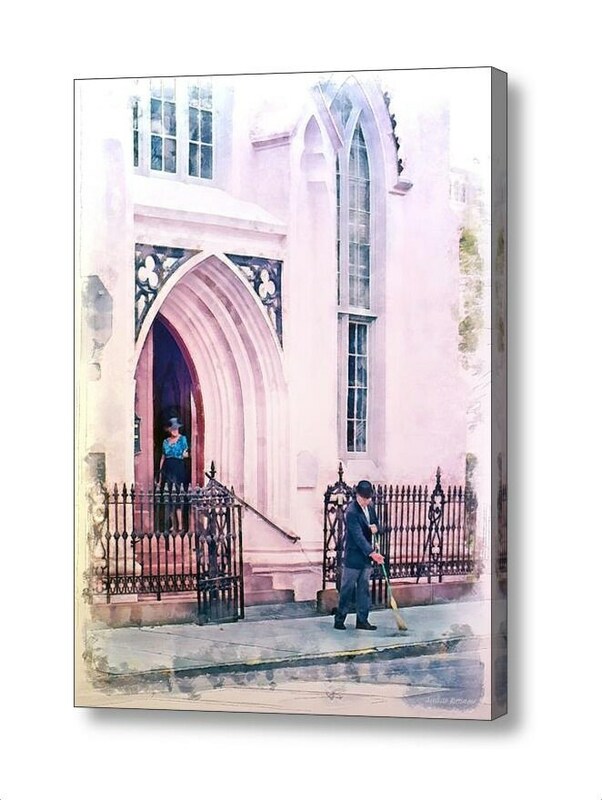 Mr White had a hand in several of the churches and buildings of Charleston. Services are no longer in French except once a year, which happened to be this very day. The Huguenot Church of Charleston is independent and is not affiliated with any governing church body.